This Self-Assessment Questionnaire will help you analyzing your own behavior and health risks and, with your physician’s help, you can make decisions that will benefit you and your care recipient. You can take this Caregiver Health Self-assessment Questionnaire to your physician and it will enable your physician to identify and provide preventive care and services. For families or professionals wanting to know more about making a meaningful connection with the person with Alzheimer’s. The author covers six basic principles on how people connect with one another: by intention, free from judgment, love, openness to receive love, silence, and thankfulness. Internalizing the principles can help in all stages of the disease. A weekly newsletter containing guest columns and feature articles with information in manageable pieces for busy caregivers. A 4-page monthly newsletter on topics of interest to direct-care workers for building caregiving skills. Contains illustrations and self-care tips. The information can be used for self-training through a quiz insert with each issue. Alzheimer’s Society Factsheet – On grief, loss, and bereavement for caregivers, friends, and relatives of people with dementia. It looks at some of the feelings that people close to someone with dementia might experience and suggests some ways to cope. 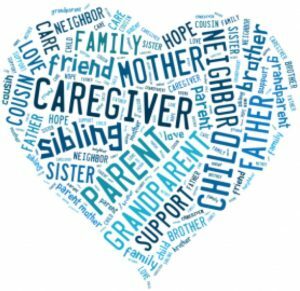 Caregiving, Bereavement, and Complicated Grief – This article starts with a brief summary of the general literature on caregiving and bereavement. It then defines complicated grief and discusses why some caregivers may struggle with the death of their loved one. Finally, it offers practical suggestions for what professionals can do to help caregivers both before and after the death has occurred. Provides education and advocacy about spirituality and ethics as they are experienced in the aging process within both faith and long-term care communities. Contains a blend of powerful real-life stories, medical and financial information, and discussion on topics such as depression, stress, housing, home care, and end-of-life. The author’s personal experience with caregiving and faith lays the groundwork for this book of spiritual and practical insight. The guide explores the physical and spiritual well-being, dignity and freedom of choice of the person, and how these can be fostered. It examines the volunteer’s own sense of empathy, understanding and support of the person and also presents practical advice on memory cueing and leading worship for those with dementia. Explores spirituality in those with dementia to enrich our understanding of the neurological and psychological aspects of hope, prayer, and the power of belief. Author Douglas J. Kohn weaves into each chapter’s narrative rich Jewish texts with essays and touching personal stories by physicians, Jewish clergy, social workers, and family members of people with Alzheimer s disease. Broken Fragments offers the comfort and the wisdom of our ancient tradition while providing insight, meaning, and encouragement for the Alzheimer’s caregiver of today.